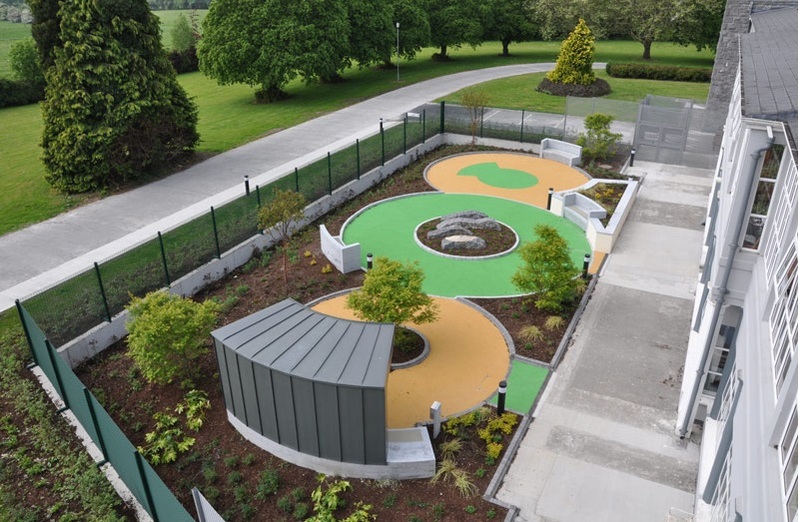 This project involved the provision of new secure gardens for psychiatric patients at St Brigid’s Hospital, Ballinasloe, Co. Galway. The design was structured around creating looped circulation with no dead ends, in line with best practice for dementia gardens. 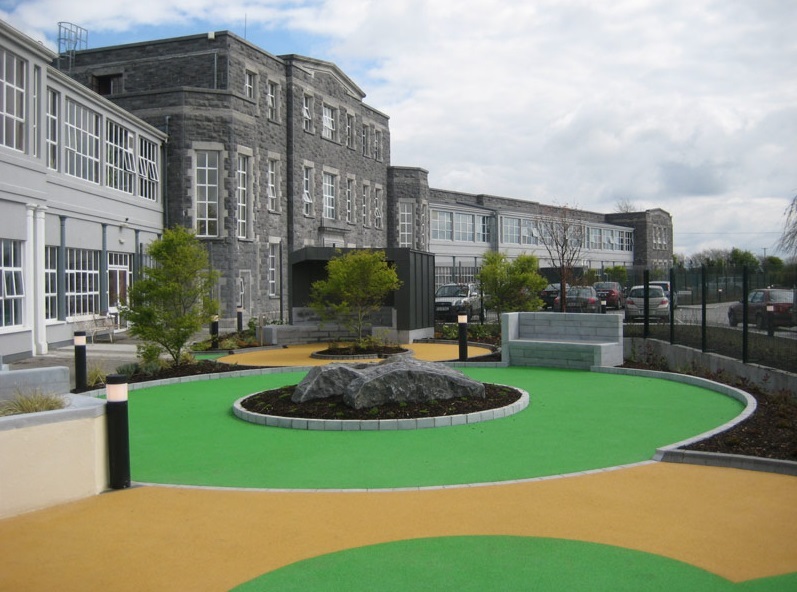 The materials chosen were local Ballinasloe limestone and safety surfacing with resin-bound gravel to the building edge, in order to avoid trip hazards associated with unit paving. 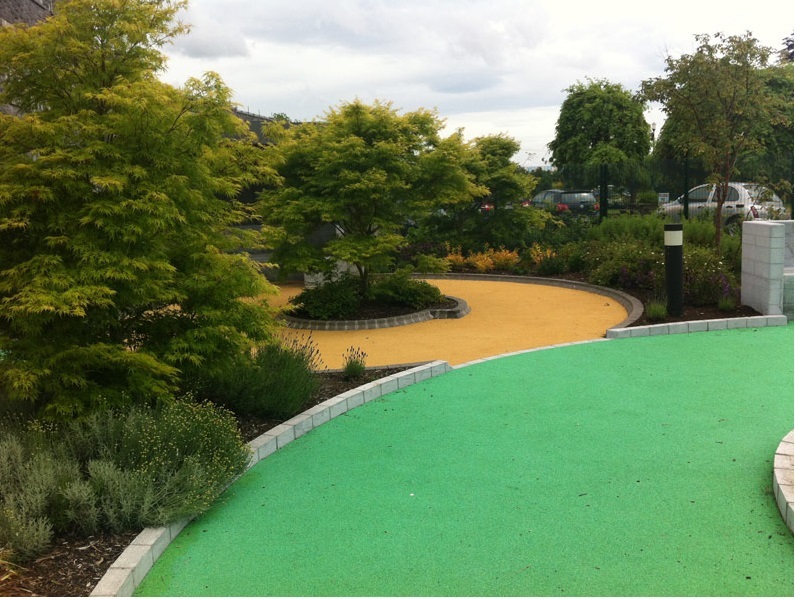 Planting was selected to be non-poisonous and stimulating to the senses, as well as for aesthetic purposes. 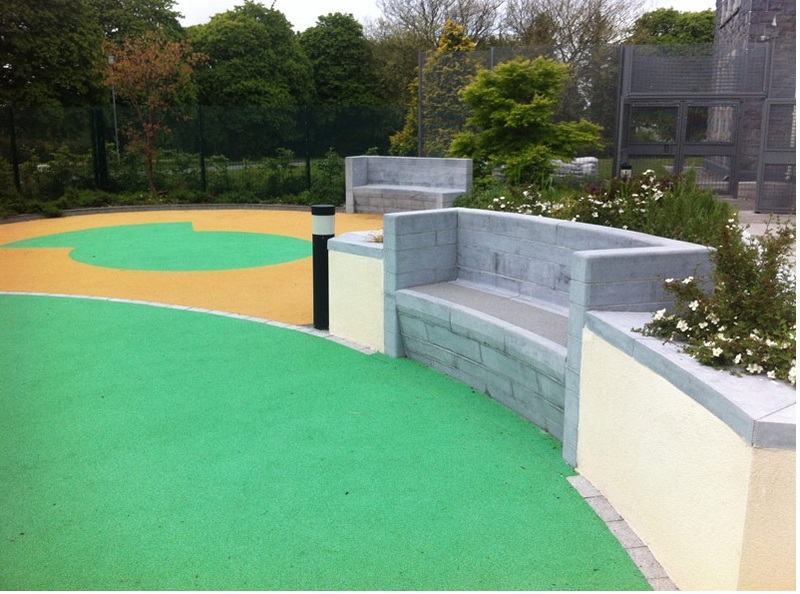 We collaborated closely with O’Connell Mahon Architects, particularly in the design of the bespoke limestone seating and zinc shelters. 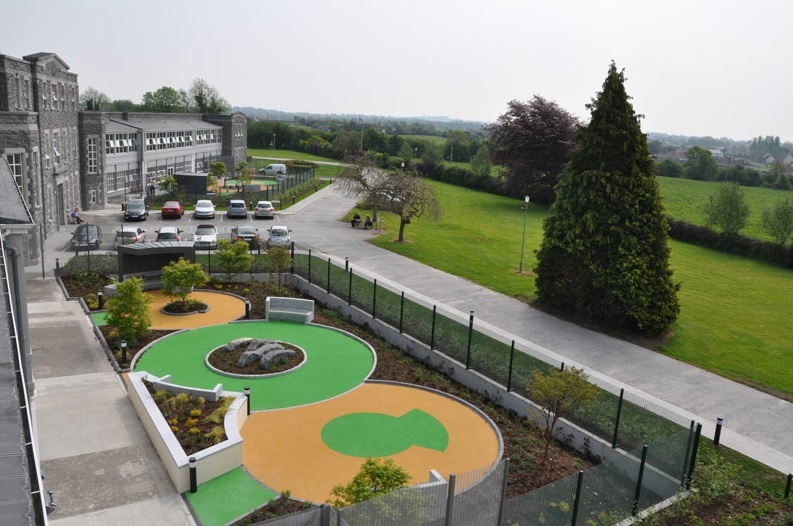 The gardens are secured using 3m high fencing, but a haha has been employed to minimise the height from ground level and planting will cover the fence in time, in views in and out, minimising its visibility. 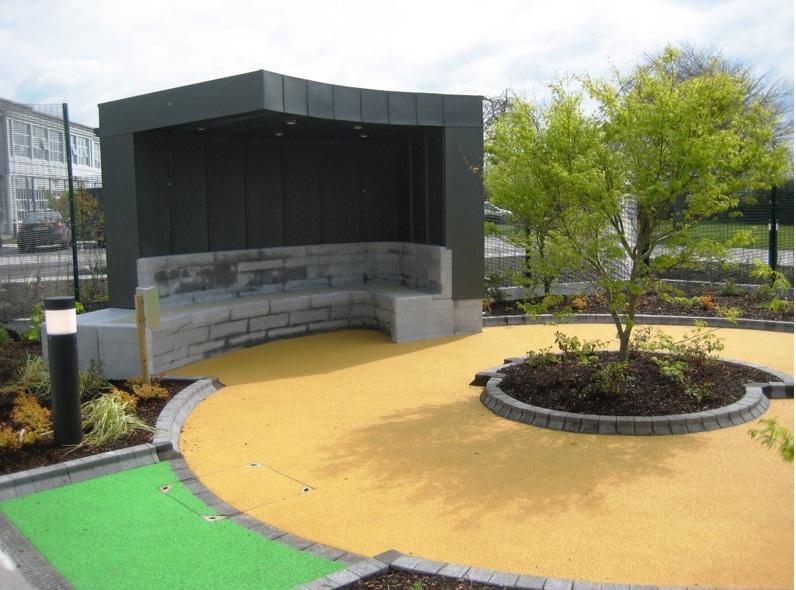 The commission included landscape design of all aspects of the secure garden areas including detailing of landscape proposals, procurement, tendering and supervision of works on-site; project included dementia and sensory gardens, raised planters, bespoke detailing of seating and other elements.